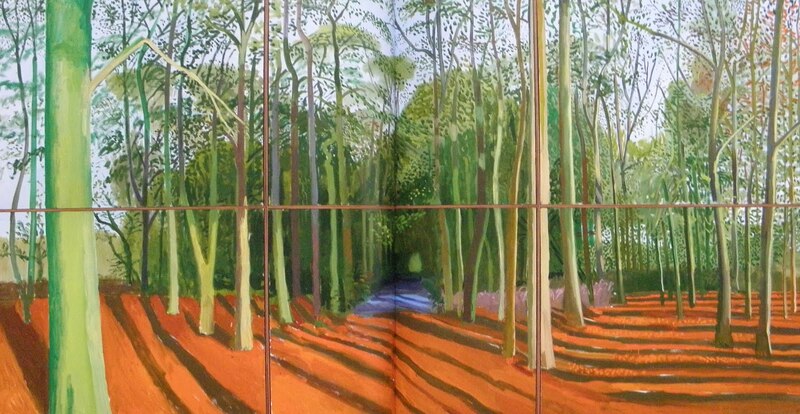 We love these recent natural landscape works by David Hockney which emits a peaceful and soothing effect. They display the artist's undeniable talent of composing perfectly balanced colors. 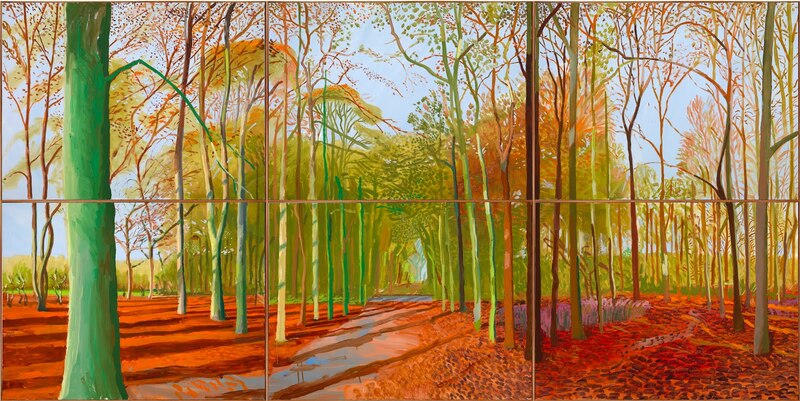 David Hockney, one of the world’s greatest living artists, is creating some of the most significant work of his long career, painting the landscape and changing seasons of his native Yorkshire. These large, colorful works are the capstone of his engagement with nature, not only in England but also in the American Southwest, through the media of painting and photography. This book, the catalog of the first major Hockney museum exhibition in many years, offers a glorious view of the landscape as seen by the artist, and it includes not only his recent paintings but also his iPhone and iPad drawings. 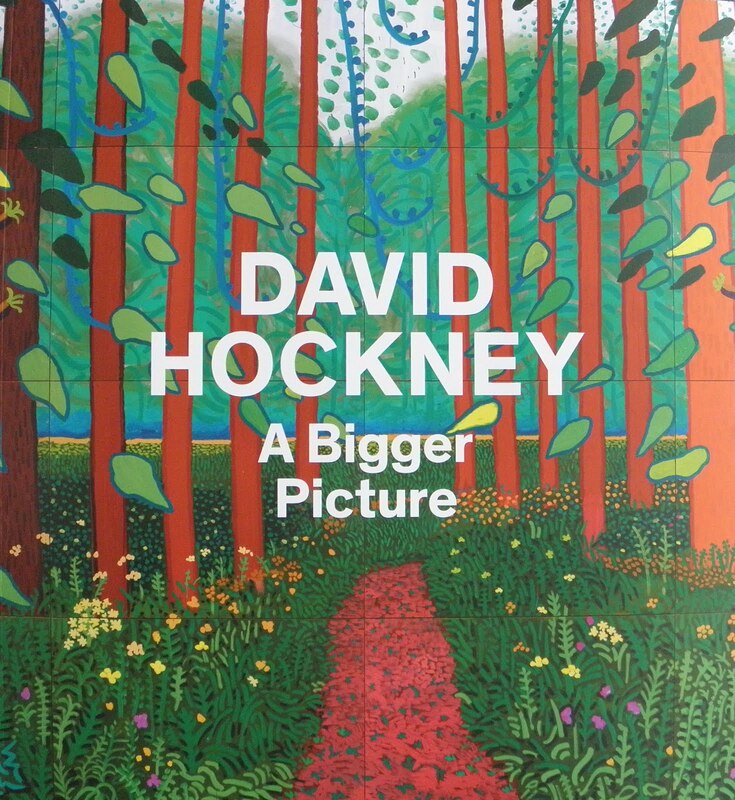 Essays by leading art historians—as well as a more literary piece by novelist Margaret Drabble and Hockney’s own reflections on his recent work—explore Hockney’s art from various perspectives. 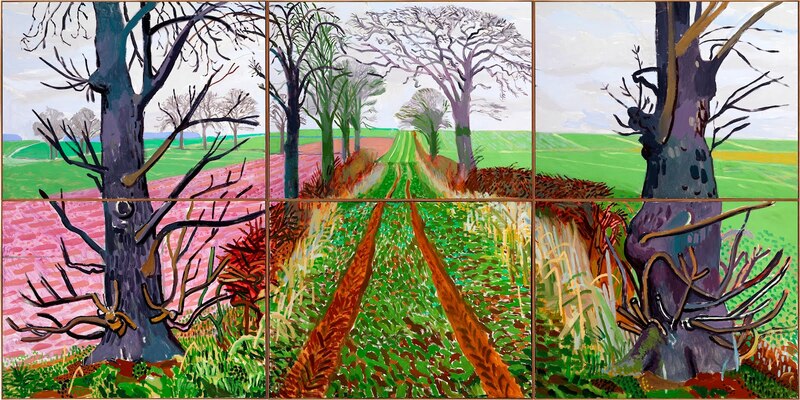 The last two images (not included in the book) depict the Field Entrance and Hedgerow near Kilham are two of a series of large-scale works painted upon David Hockney's return to the United Kingdom in 2005. 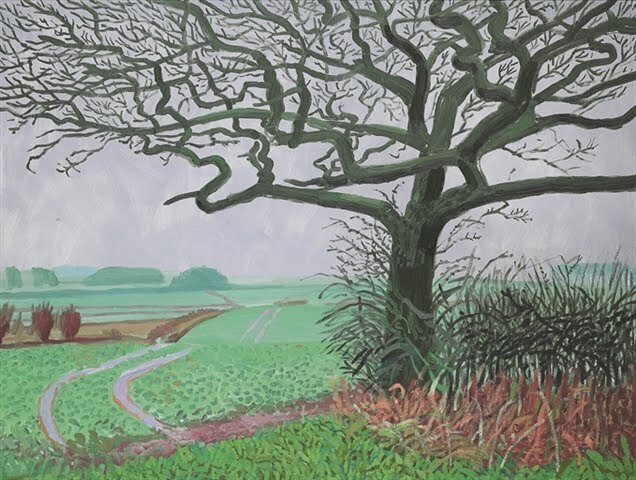 The paintings in this series of Yorkshire landscapes reflect the artist's desire to both explore the landscape and roots of his childhood and to reconsider the possibilities of the landscape genre. 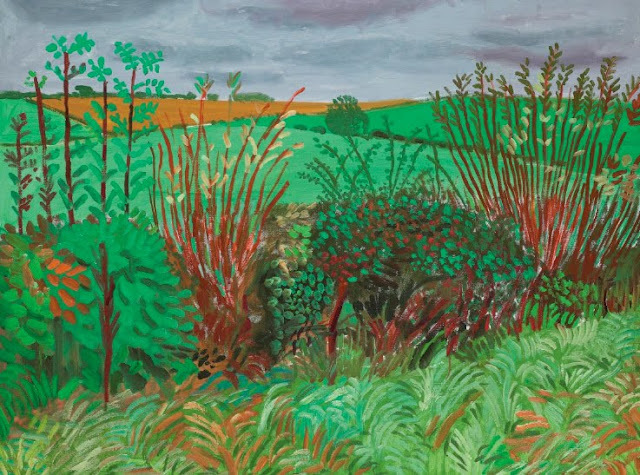 These works signal a reinvention of Hockney's painting, and a further development of the naturalistic style for which he is perhaps best known. In reference to these works, Hockney posed the question, "Is it possible to do anything new in the landscape genre? Most of the art world thinks it's not worth doing anymore". 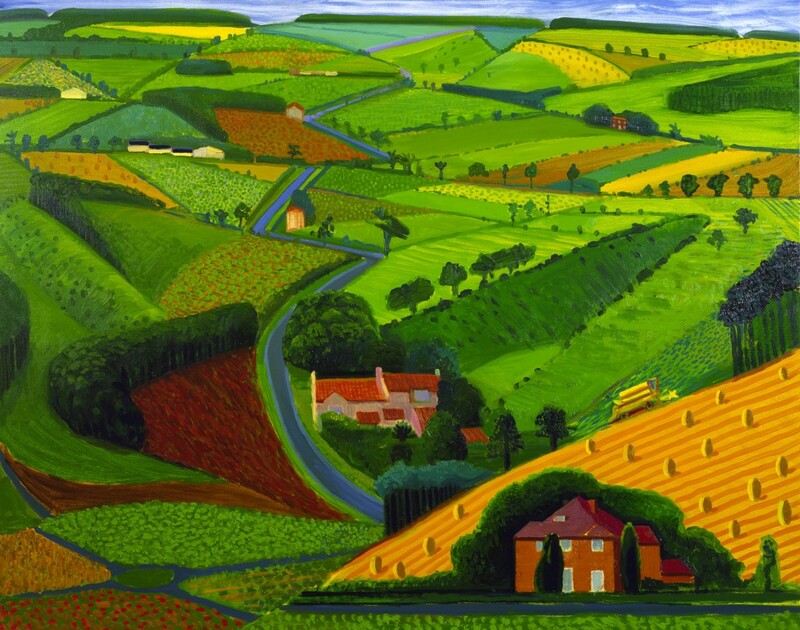 Through his series of Yorkshire landscapes, Hockney set out to test this assumption. 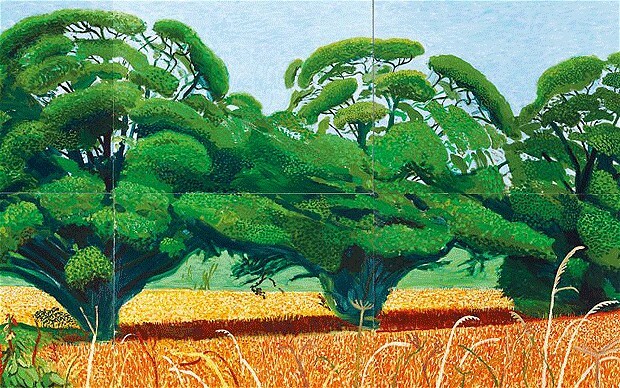 Throughout his career, Hockney has concerned himself with the techniques of Old Masters, and he draws upon the works of John Constable and J.M.W. Turner in his Yorkshire landscapes. Responding to artistic notions of perspective, Hockney acknowledges that "the optical projective of nature is a view of the world from one point. It is not a human view. The camera sees surfaces, we see space". The Field Entrance, 2006 exemplifies the artist's desire to explore and contribute to the development of the landscape genre and to go beyond the confines of the perspective offered through the photographic medium. Through the myriad of soft greens and light blues, the viewer gains access in this work to a landscape of rolling hills set against a grey sky so emblematic of the English countryside. Aptly titled The Field Entrance, it appears as if the viewer is standing in the foreground of the painting, looking out to the verdant landscape, the vibrancy of which recedes with the distance. This work illustrates Hockney's advice to himself: "so stand in the landscape you love, try and depict your feelings of space, and forget photographic vision, which is distancing us too much from the physical world".